Use a high rated solution to convert Outlook Express DBX to PST format that can be accessed through MS Outlook. The tool migrates multiple .dbx files to .pst at once without skipping even a single email. installation is not required for DBX file conversion. The DBX to PST conversion software is capable to find out all DBX files from its root folder. So if you don't have any idea where that root folder is storing your Outlook Express files, then this function will assist you in searching all DBX files. After selecting required DBX files, the application starts scanning them all. During the scanning process you can preview how many folders as well as items are found in a particular DBX file. This function helps in email investigation because through it you can view message body of selected emails from DBX file in several views such as: Hex view, Normal, Property, Email Hop, Message Header, attachment view, etc. for respective purposes. DBX to PST Converter software works as a multi tasking solution and provides several options to save DBX to Outlook PST, MSG and EML formats. Through this feature you can open OE data on other supported desktop email clients. This feature of the DBX to PST tool permits you for the extraction of selective folders, mailboxes, and mail components from any .edb file. So that, you can move Outlook express to Outlook 2010 on another computer with the selected data, you want. Migrate Outlook Express to Microsoft Outlook PST file and split output PST file by size. The utility offers splitting an extra large PST file to select size (1 to 100 MB) of PST files and create many PSTs accordingly. If you select EML or MSG formats for conversion, then the software offers more than 7 different naming conventions. Select one of the appropriate naming formats from the list before executing the conversion. If someone requires extracting a few filtered emails from all the scanned DBX files, then they can select all required items. The DBX to PST Converter software allows an option to select or deselect an email by clicking on the check box. The DBX to PST tool does not require MS Outlook for the migration, so you can convert DBX to PST even if Microsoft Outlook is not installed on your computer. The application creates a Unicode PST file that can be opened with all MS Outlook editions. What is Outlook Express and How Is It Important? Free DBX to PST Converter scans DBX files, preview all folders and export first 25 emails per folder. Step 1: Download and install the tool >> Now click on "Add File" to Browse files or Folders. Step 2: The tool will start scanning all the files at the same time and show progress status on the screen. Click on OK once all selected files get scanned. Step 3: After scanning the tool will preview complete information. You can view a particular email in a different style by clicking on them. Step 4: Select folders or few desired emails and click on the Export button to save them into Outlook file format. Step 5: If you want to export emails into other formats, then select desired Export Options and choose naming convention to save the emails. Step 6: The software starts exporting selected data and also show Folder Name, Item Count and Destination Path. DBX to PST Converter Tool Replies All Queries & Doubts! Can I convert Bulk number of DBX files? Yes, the software supports adding multiple numbers of DBX files without any limitations. Is it possible to convert DBX to PST of Unicode formatting? The software is built with advanced algorithms and makes it possible for the users to create an output PST file of Unicode formatting. 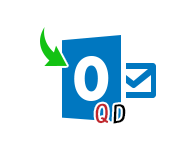 It helps to export Outlook Express to Outlook 2013, 10, 07 and 2003 (unicode) format of PST file. Does the software hang while converting a large number of emails (with attachments)? No, the making of the software supports handling large number of DBX files and emails of any size (with or without attachments). The software will not confront you with any kind of performance issues in any case. Does the DBX to PST software support conversion to Windows Live Mail? You can choose to convert the DBX file emails into EML format to transfer the data of your DBX file into Windows Live Mail. The software supports 3 other formats as well: PST, MSG and RTF. Can I use the software license on the machines of employees? In order to use the software on multiple numbers of machines, you are supposed to purchase it under Business or Enterprise License particularly. I am grateful to the developers for creating such a tool with conversion ability of unlimited emails. I had created a backup of my DBX files long back containing uncountable emails. But DBX to PST Converter didn't come under any performance issues while performing the conversion, which is commendable! I had been working with Outlook since a long time and wanted to get my Outlook Express emails to be transferred on the same client as well since it was outdated now. Running the software on my Windows 8 OS was something I was doubtful about. I am thankful to the team for keeping the tool updated accordingly! Making an application considering the needs of all types of users is not everybody's cup of tea. Most of the tools I came across while searching for a solution were not supporting the facility to convert bulk number of DBX files. But the QuickData DBX to PST converter tool just made things so better for me! I was looking for a tool to convert my DBX messages to EML format as I kept on switching between clients like Thunderbird and Windows Live Mail. I got disappointed when i read the name of this software however, when I read about its qualities, I got overwhelmed!